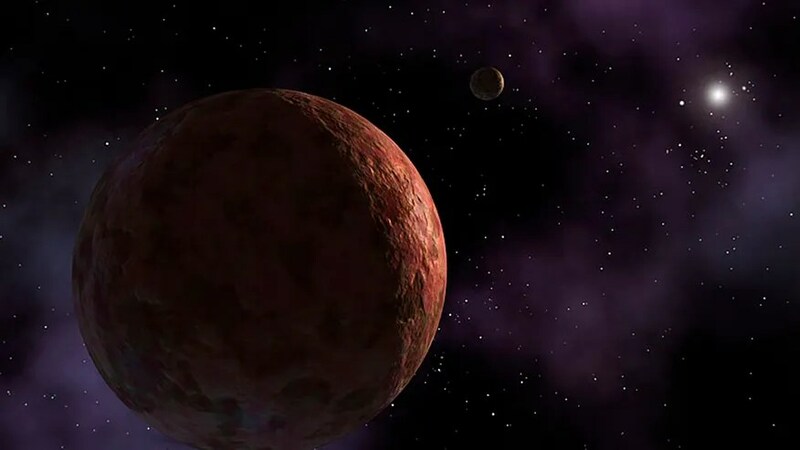 There is evidence of at least two planets larger than Earth lurking in our solar system beyond Pluto, a new analysis of “extreme trans-Neptunian objects” reveals. After studying 13 of these “extreme trans-Neptunian objects,” or ETNOs, the obits of these objects are different from a theory that predicts the orbits. “The exact number is uncertain, given that the data that we have is limited, but our calculations suggest that there are at least two planets, and probably more, within the confines of our solar system,” Carlos de la Fuente Marcos, scientist at the UCM and co-author of the study, said in a statement Friday. However, the orbits of the ETNOs have semi-major axes ranging from 150-525 astronomical units and inclinations of about 20 degrees. The new results may give way to evidence of the existence of Planet X, which is a rumored object as far away as 250 astronomical units from the sun and 10 times larger than Earth. With the current instruments available to scientists, it is nearly impossible to spot these objects. Click for more from Space.com.